I don’t understand what Nintendo was thinking when they were designing this card. They should’ve gave it a better attack and at least 100 HP. 100HP was a bit too much for a stage 1 at the time, but yeah, the attack is terrible. Ok, but with a pokemon power like that, it should give more than 80, and better it should give it a rage attack that goes with too many damage counters on it. 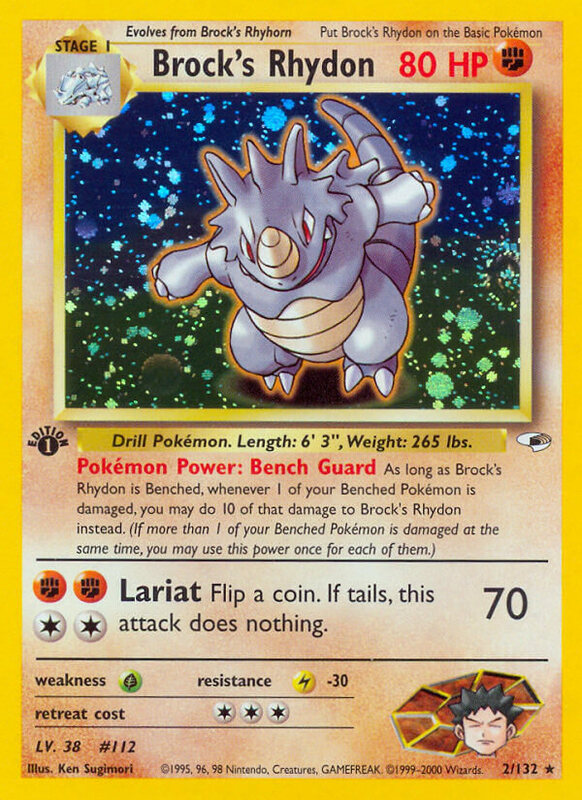 The Rhydon of the jungle set has 100 HP. Minor Typo: The Pokemon Power Reads “is damage” when it should be “is damaged”.